For centuries, Berbers have occupied the territory stretching from the Mediterranean to the south of the Niger and the Nile to the shores of the Atlantic and refer to themselves as ‘Imazighen’ which means ‘free men’. Our Timimoun suite will reveal traditional Berber hospitality and the colourful worlds of these free men. 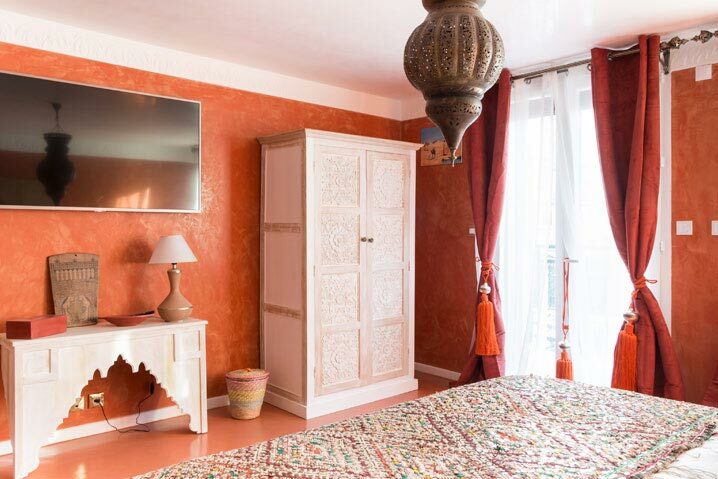 According to a beautiful Berber proverb: ‘We know the sweetness of the almond only after putting it in the mouth.’, only after you’ve spent a night in this suite, will you know that you’ve experienced Berber hospitality. Staying with us here at The Oriental Gates and in our Timimoun Suite is unlike staying in any other hotel or guest house, to stay here is to experience something unique and authentic. 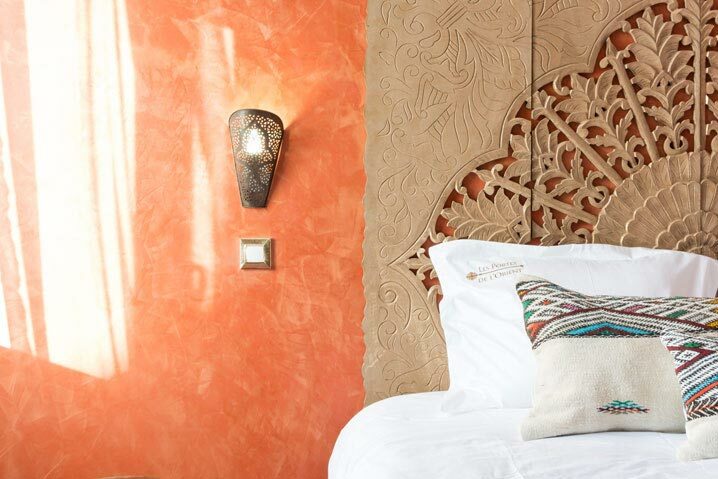 Discover the stunning beauty of East meets West in our Riad and let the mystical Orient unravel before your eyes. Check in from 5pm and check out before 11am. 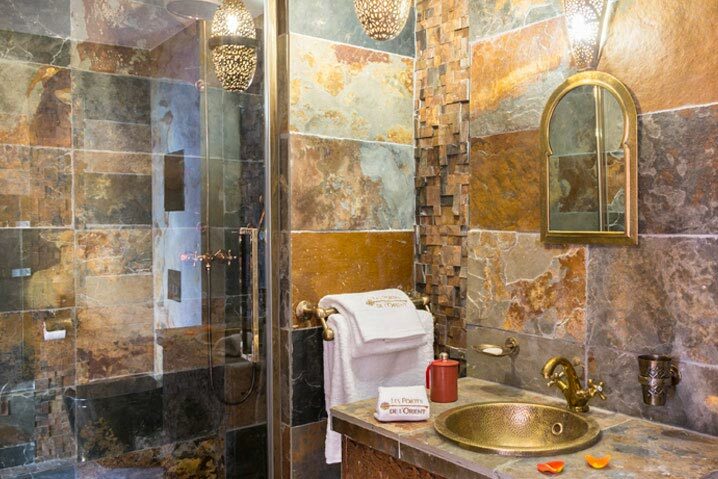 Our Pamukkale suite is a delicate and sumptuous place to relax and refresh.